This year I made my own birthday cake. How else are you supposed to get exactly the cake you want if you don’t make it yourself? Having returned from Puerto Rico that week, I wanted to keep up with the vegan deliciousness. Also, after eating so many whole foods and no processed sugar, cake and ice cream even seemed overly sweet to me. 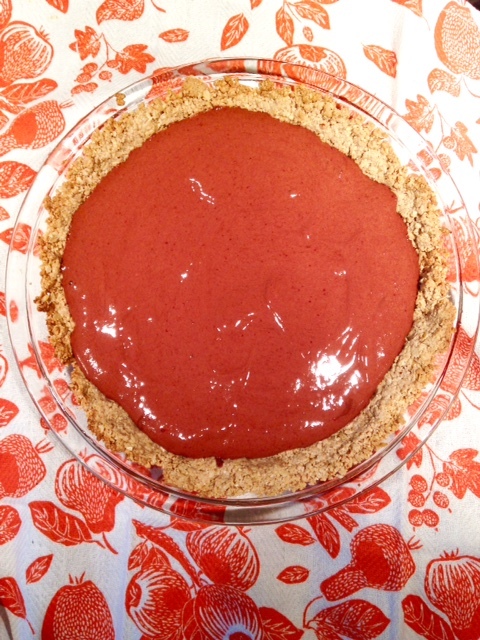 After running some birthday stadiums that morning (day before my birthday to be exact…), I set to work making my basic pie crust and trying to decide what the best possible filling would be. It didn’t take long for me to decide on some sort of chocolate (I remembered how good the chilled chocolate raspberry pie was). Instead of raspberry, this time I went with strawberries. In an effort to replicate the ice cream cake that I usually have, I used frozen bananas to give it a similar consistency. Then I went crazy with decorating! 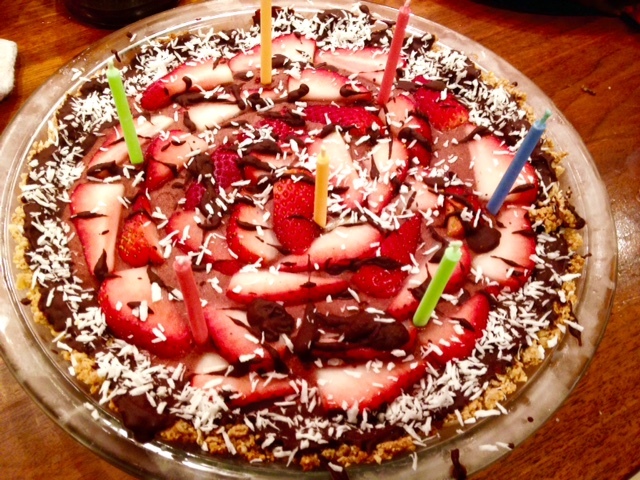 The end result was a creamy, chocolatey, strawberry-filled healthy birthday pie. Not too sweet and as light and refreshing as the Puerto Rican beach. 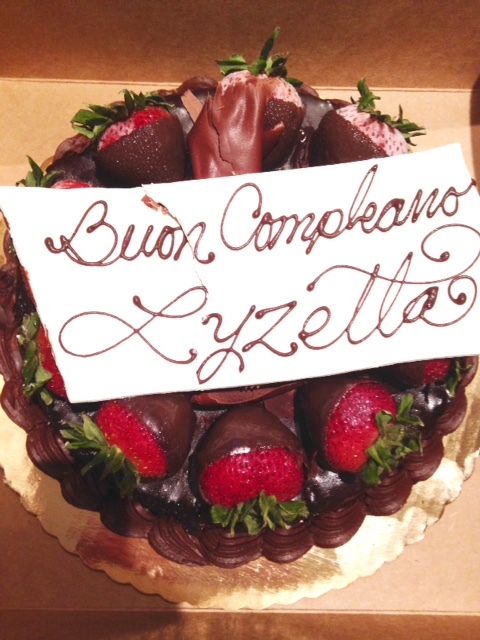 We were also celebrating my aunt and uncle’s birthdays (so naturally we each got our own cake), and my aunt’s cake followed a similar chocolate covered strawberry trend. 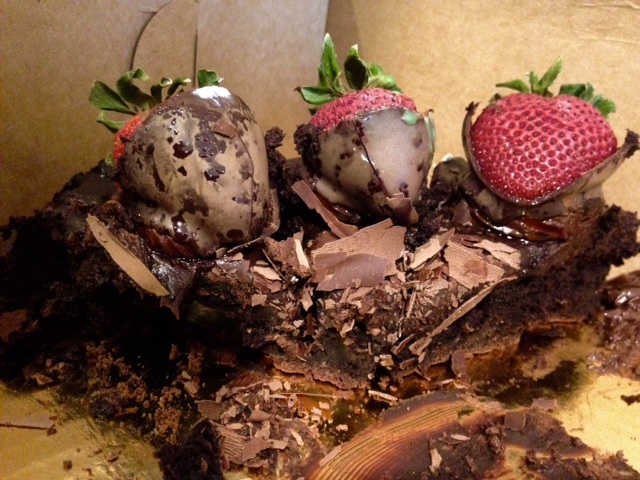 But this was a rich, flourless chocolate torte with real chocolate covered strawberries on top. I’ll admit, it was pretty fantastic even though I wasn’t used to eating extremely sweet things again. Definitely worth the food baby. The best part about having your birthday party the day before your actual birthday? You can wake up and eat leftover cake for breakfast! And that’s exactly what I did. My covered in almond butter made an amazing birthday breakfast. Perfect for fueling my birthday activities. Blend ingredients together and place in cooled crust. Freeze for about 10 minutes to harden slightly before putting on toppings. Arrange strawberry slices on top of the chocolate banana mixture. Drizzle the dark chocolate over and sprinkle with coconut flakes. 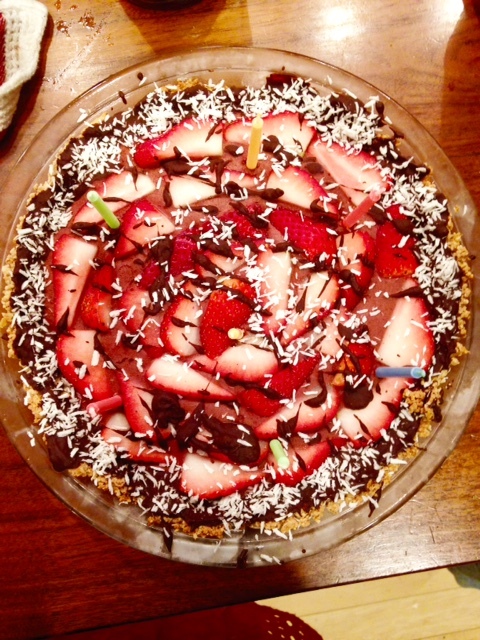 I also coated the crust with dark chocolate (highly recommended). Freeze for a few hours before serving. Enjoy for breakfast, dessert, or snack!